Not just racing for the cafe: The evolution of a team. | theraceforthecafe.com . Not just racing for the cafe: The evolution of a team. Regular blog readers will know that the team that I race for is called Brother/NRG/DriverPlan, a team that was conceived and developed by my son Jack Rees TheTeam. 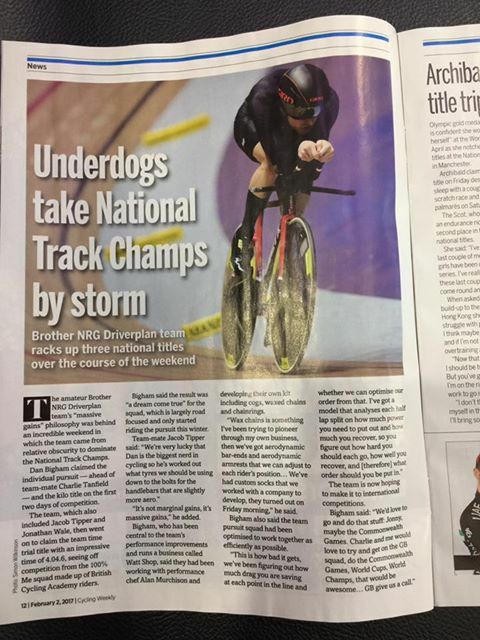 The picture above is from Cycling Weekly (2nd Feb 2017) and is a report on the team's outstanding success at this years British National Track Championships. This weeks post is a look at the development of the team and its five year progression from novice regional team to national and international success. One of the interesting things about the success of our our track squad in January was that despite their victories coming as a bit of a suprise to many people in the sport - it came as no great surprise to the team. The numbers had been 'crunched' and we knew they could win it! 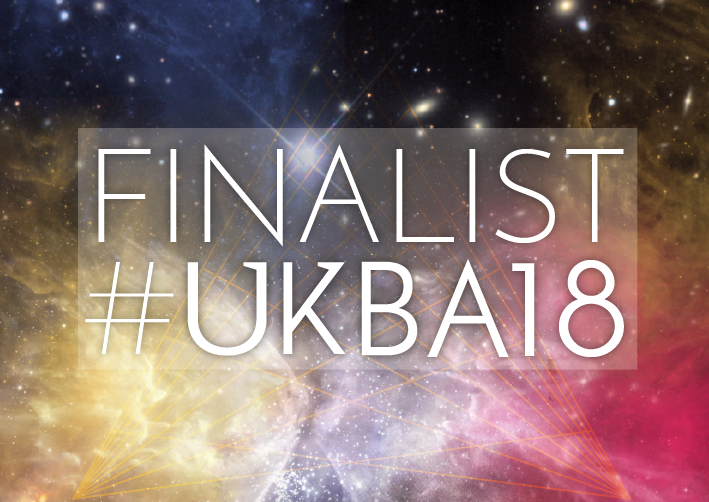 This confidence was due in no small part to a programme of meticulous preparation led by Dan Bigham one of our star riders (and now triple national track champion) who is also an expert on aerodynamics and anything else that saves watts and makes bike riders go faster. Find out more on Dan's website Wattshop GoFaster. Such was the level of detail in the teams preparation that they even replaced their handlebar bolts with slightly more aero ones and had aerodynamic bar end plugs specially manufactured for the championships. 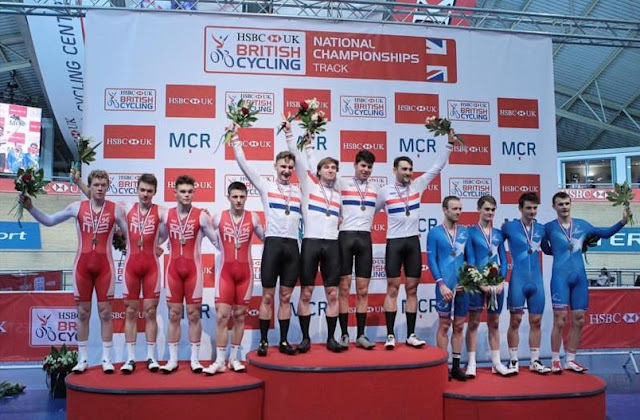 Our winning pursuit team left to right Dan Bigham, Jonathan Wale,Charlie Tanfield, Jacob Tipper take the top step of the podium as national Team Time Trial Champions ahead of the British Cycling Academy 100% Me squad. A result all the more impressive because Brother/NRG/DriverPlan are primarily a road focussed team. The launch of the team May 2012 and the riders were super motivated for their first season of racing. In 2013 the team started to make an impact. A first and second at the North East Divisional Championships was a significant result and the launch pad for an excellent second season. Above Tom Timothy holding the Divisional Champions trophy with Jack on the left. For the 2014 season the team had a slightly different look with the addition of some flourescent detail on the kit and some new sponsors. Although the Achieve Cycle Coaching branding was still prominent. 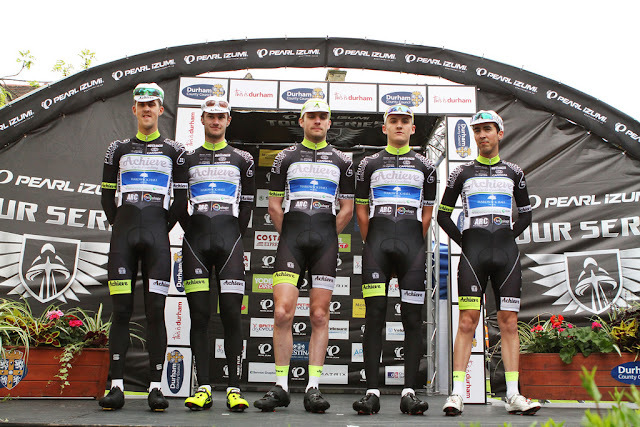 This was the team presentation at the Durham round of the televised Pearl Izumi Tour Series, where we had been invited to race as a guest team against the best pro teams in the country. By 2015 the team have made even more progress, we are now in red and black and for the first time receiving significant financial backing from Mercedes truck dealership Northside Truck and Van. The team were dominating regionally but were also competitive in Premier Calendar events. 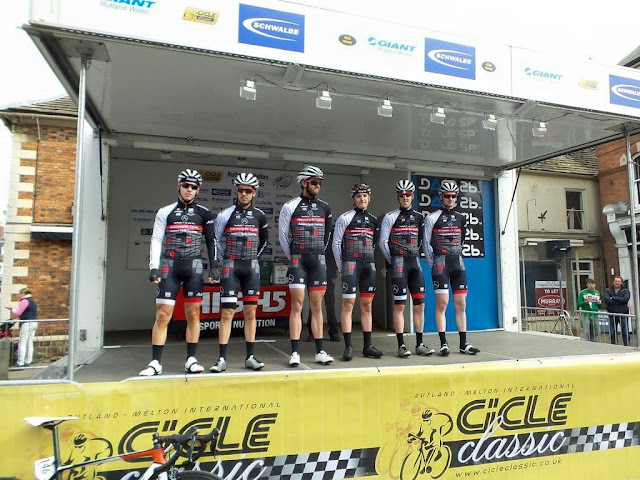 Pictured above our team for the Rutland-Melton International Cicle Classic, probably the toughest race in the UK and one of the longest standing international races on the British calendar. A challenging blend of wide roads around Rutland Water combined with narrow and treacherous un-made farm tracks, similar to those found in the Spring Classics of Northern France and Belgium. 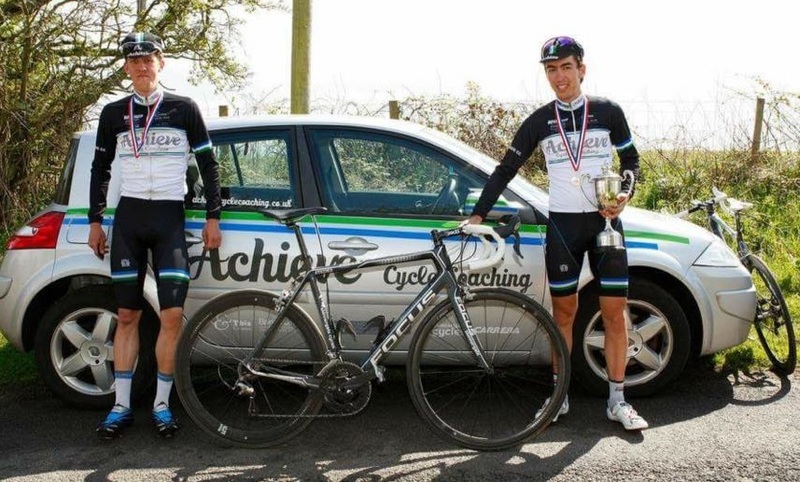 Central to the team ethos has always been the support and development of talented young riders. 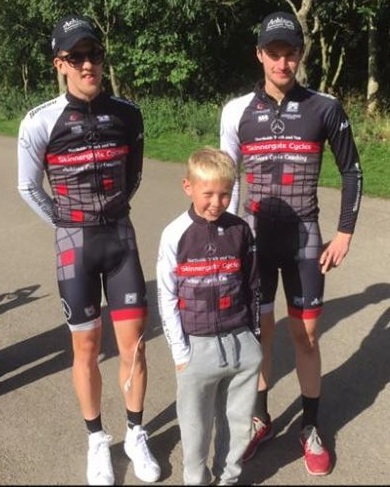 Pictured above (in 2015) in the centre is Joel Hurt with Jack on the left and Will Brown on the right. Joel is a prodigous talent in cyclocross and circuit racing who has a big future ahead of him. Joel continues with the team for the 2017 season and will no doubt do more of what he does best - winning bike races with a smile on his face. One of the promotional pictures for the start of the 2016 season and the team now have a completely new identity. Now racing as PlanetX Northside competing in UCI professional races included the 10 day Tour of Poyang Lake in China which attracts huge crowds and a TV audience of millions. 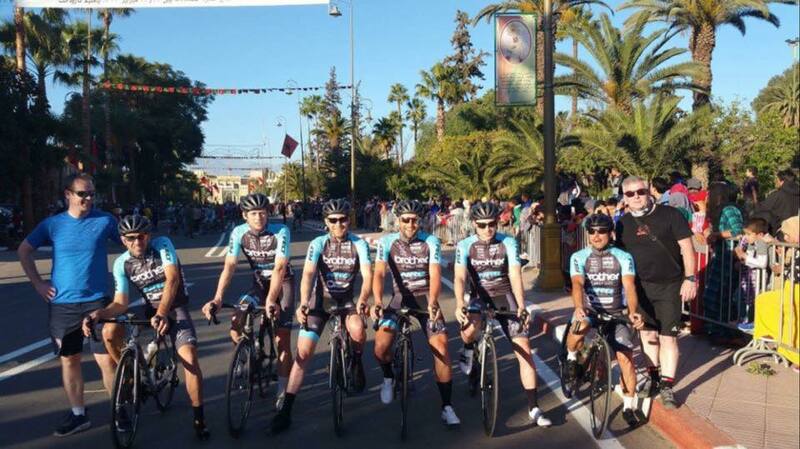 Since the team's inception our riders have competed in Belgium, France, Poland, Spain, Qatar, Hong Kong, China and Morocco. Not only providing opportunities for our riders to gain excellent racing experiences but unforgetable life experiences too. 2017 - An Important Year. 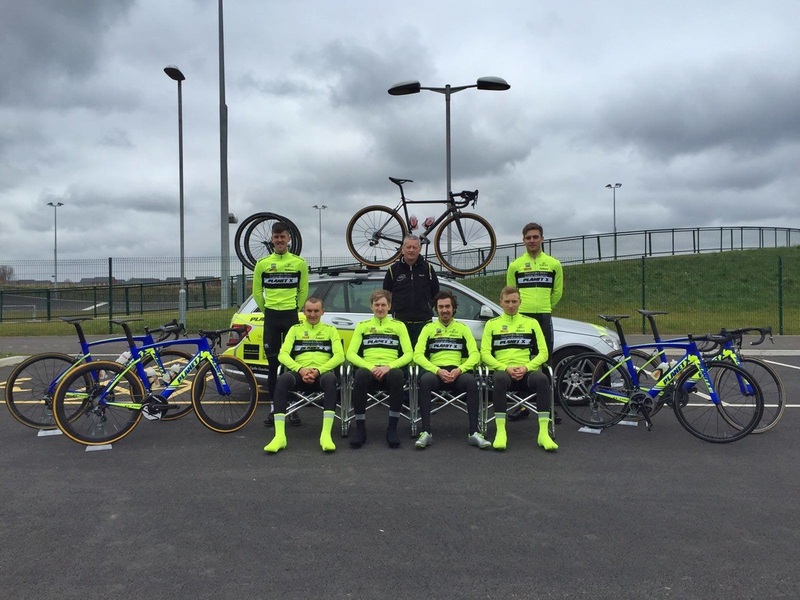 After a fantastic start to the year at the National Track Championships the focus of the team has switched back to the road and the 2017 season is now in full swing. A huge amount of preparation work has been done over the winter and as well as continuing our longstanding partnerships with existing sponsors such as Giro Sport Design Giro High5 Nutrition High5 and Santini Santini the team are now supported by some fantastic new sponsors, Brother Brotheratyourside NRG Cycles NRG and DriverPlan DP. To attract sponsors and to maintain relationships with existing partners is absolutely crucial to the development (and survival) of any cycling team. It is vital to provide a tangible return for the investment and confidence that brands and businesses place in the team. Winning bike races and the publicity that this attracts is really a given and the absolute minimum in terms of payback to sponsors. A key factor in the success of the team and for its continued development is the effort that we put in to promoting our sponsors, particularly via social media. 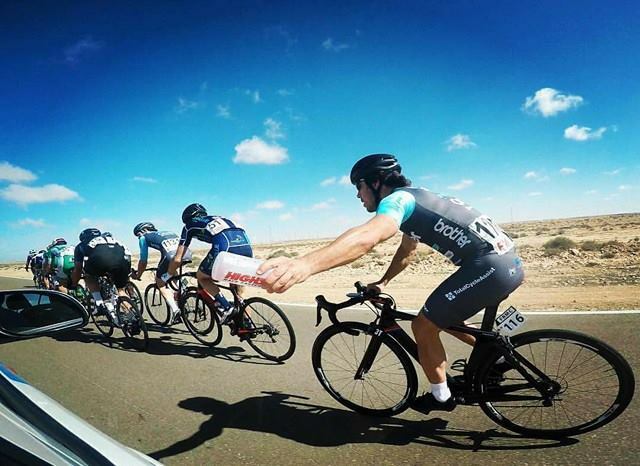 Facebook TeamFB and Instagram TeamInsta along with Twitter twitter.neprocycling are key platforms that drive potential customer engagement with the products and services of our sponsors. We are sucsessful and competitive as a team demonstrated by our consistent results but in terms of social media activity and return on sponsor investment we are arguably the top team in the country. The Brother/NRG/ Driverplan team pictured in Morocco earlier this month competing in a series of one day races called 'Les Challenges de la Marche Verte' in preparation for the ten day Tour De Moroc in April. In the GP Oued Eddahab our sprinter Jacob Tipper took a fantastic third place after great support work by the rest of the team. The team have an extremely full domestic and international race calendar already planned and we will be represented in races all around the country almost every weekend. In this the team's fifth season the aim is for 2017 be our best year yet - even though we won over 60 races last season and finished 4th in the national rankings (one place better that 2015) ahead of teams with much bigger budgets. In future posts and as the season progresses I will introduce some of our team members, not just our riders but also some of our dedicated and hardworking support support staff. My own season for the team consists of mostly regional and some LVRC and TLI age group races. But my early season goal is the four day Tour ta Malta in April. Malta will be my first international bike race and also my first ever stage race, over a challenging (hilly) parcours and at 61 there is every possibility that I will be the oldest rider in the race - what could possibly go wrong? TourtaMalta. I will do a blog post if I survive.